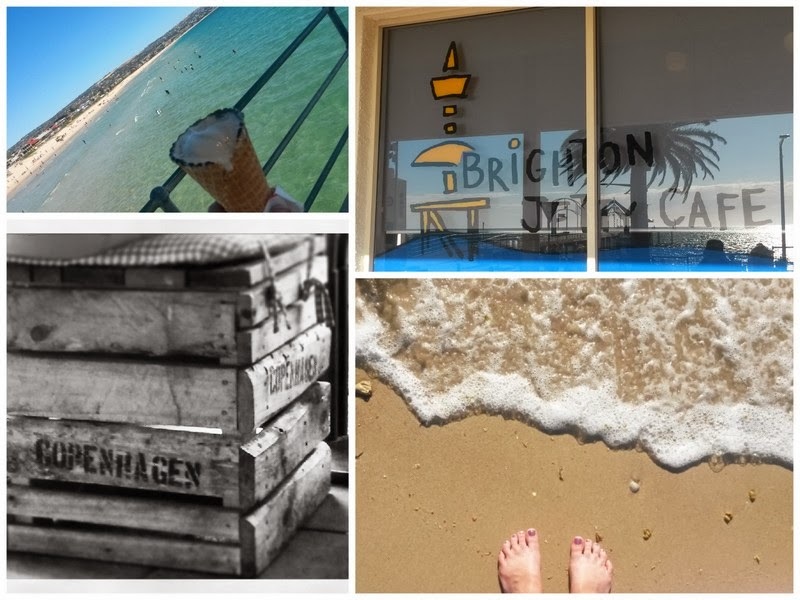 There is no place like home but it is nice to have a change of scenery occasionally and the best change for us is the smell of salt in the air, the sound of water lapping on sand, the taste of ice-creams and fish and chips...yes! The Beach! 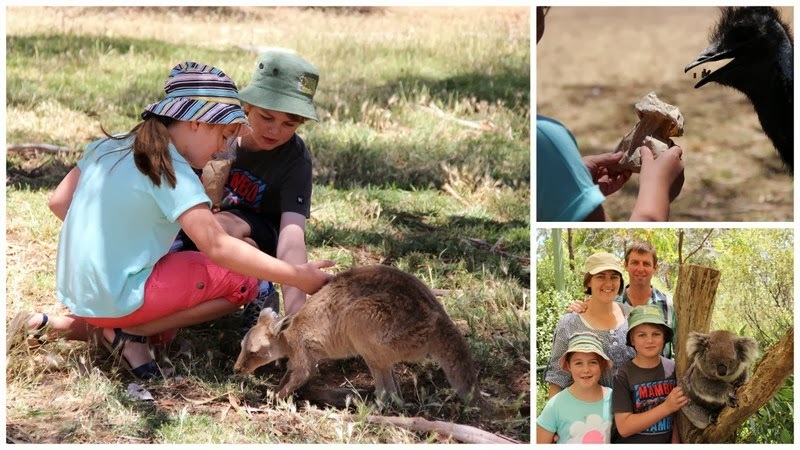 We also took the opportunity to do some things as a family, taking in some of the highlights of South Australia such as Cleland Wildlife Park, Rundle Mall for a spot of shopping, The Pancake Kitchen and the Beerenberg farm to pick some strawberries. 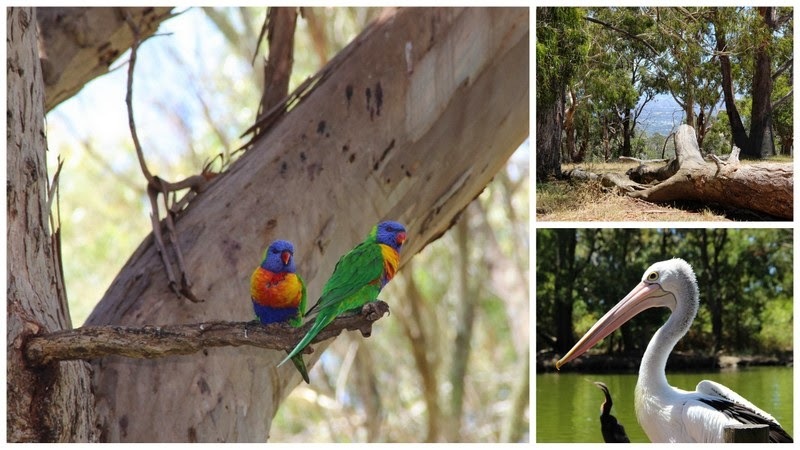 Even though Adelaide and it surrounds are a familiar destination for us there are always surprises and treasures to be found and new experiences to be had. We met Hazel the koala at Cleland and even though Master & Miss B have grown up with kangaroos virtually on their doorstep, they were in amongst the international visitors patting and feeding them. 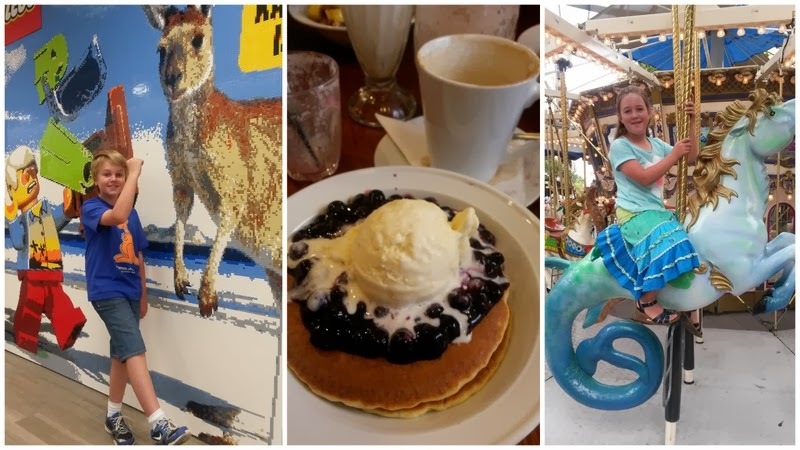 We saw a huge Lego mosaic in Myer made by Master B's idol, Ryan McNaught (a.k.a The Brickman) and stumbled on a carousel in the middle of the shopping mall which required a shopping break. 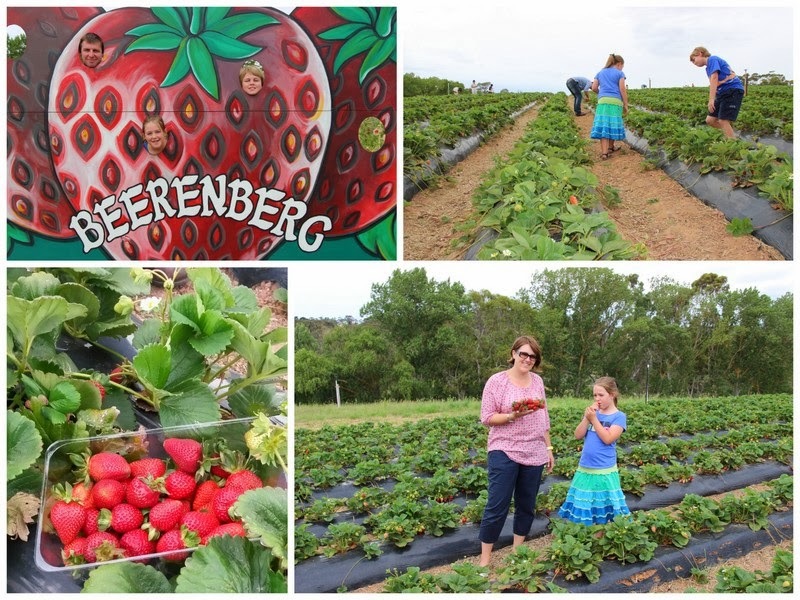 We experienced the pleasure of picking and eating strawberries straight from the paddock in the fresh Adelaide Hills air. We even squeezed in some culture and took the children to their first stage performance, seeing South Pacific. My favourite part was the look on Master B's face just before the show (not entirely happy about being in an audience that appeared to be MUCH older than him to see a ..*gasp* musical) then seeing the big smiles and hearing the laughs not long after! I knew he'd like it but he was not convinced. You will be pleased to know I mostly resisted the temptation to say "I told you so"!!! So we have returned home with beach sand on our shoes and in the bottom of our bags, the intention not to eat again until Easter and our batteries recharged, looking forward to the next getaway and thinking about where that might be. Where do you go to recharge your batteries and fill your senses?